Modern family apartment for four people on the outskirts of the lovely centre of Katwijk and close to the beach, sea and promenade. This ground floor apartment has a small sunny balcony. The apartment, 'Blauwe Tram', gets its name from the horse-driven tram that used to drive through the street from Leiden to Katwijk. The home is part of a recently built complex and has a private parking place in the garage. You can enjoy the sun to the full on the sheltered balcony. 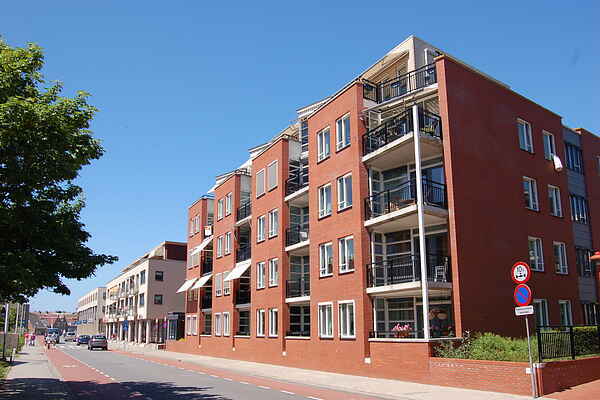 From the Blauwe Tram apartment, you can walk into the varied shopping area of Katwijk and the beach and promenade are also within walking distance. All the sights and attractions in the area are easily accessible. Cities such as Leiden, The Hague, Haarlem and Amsterdam can be reached in thirty minutes by car.